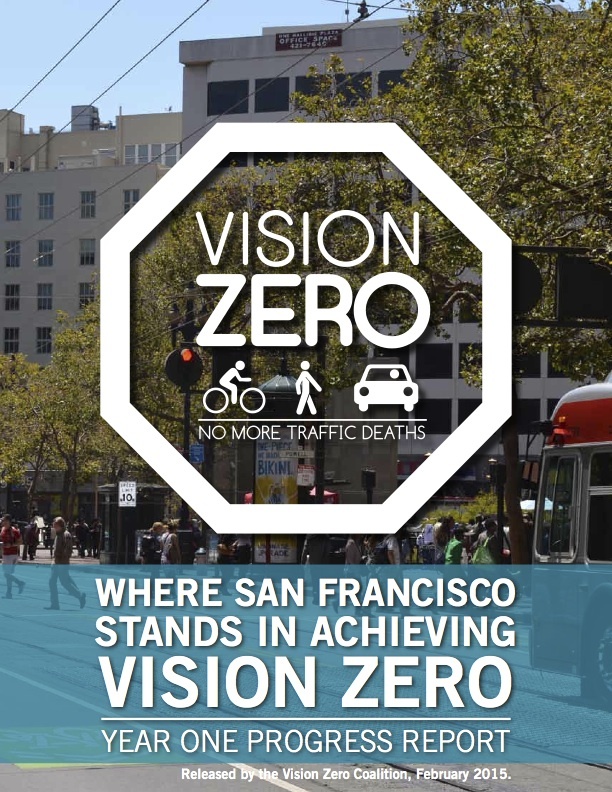 The Vision Zero Coalition report, Where San Francisco Stands in Achieving Vision Zero: Year One Progress Report, critiques the progress the City has made in the year since its commitment to eliminate all traffic deaths and severe injuries by 2024. In partnership with Walk SF, the SF Bicycle Coalition published this report. I designed the layout and data visualizations within that were also used in social media and news.